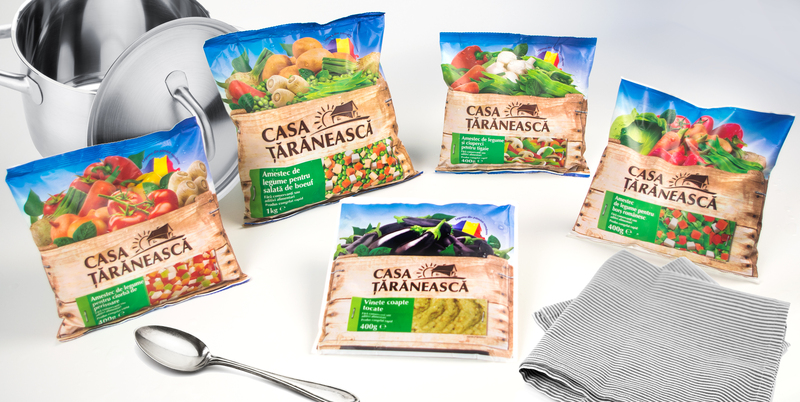 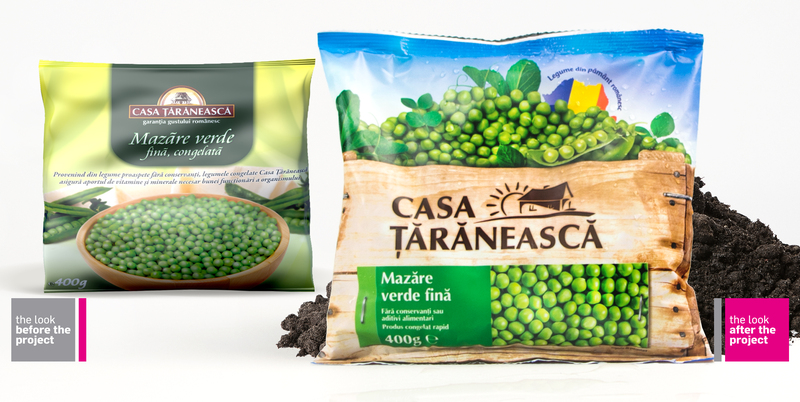 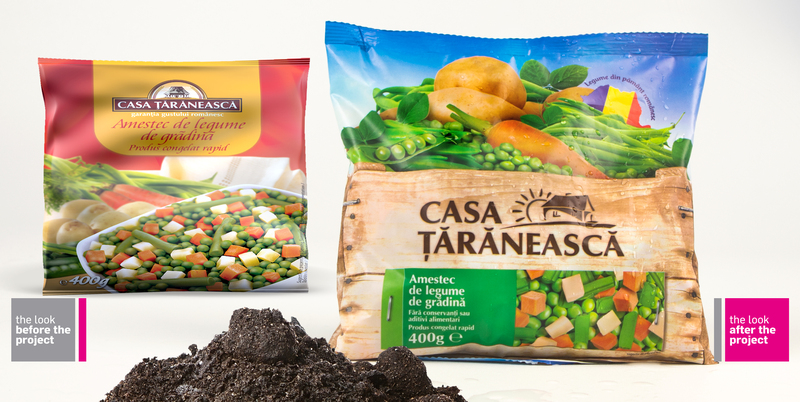 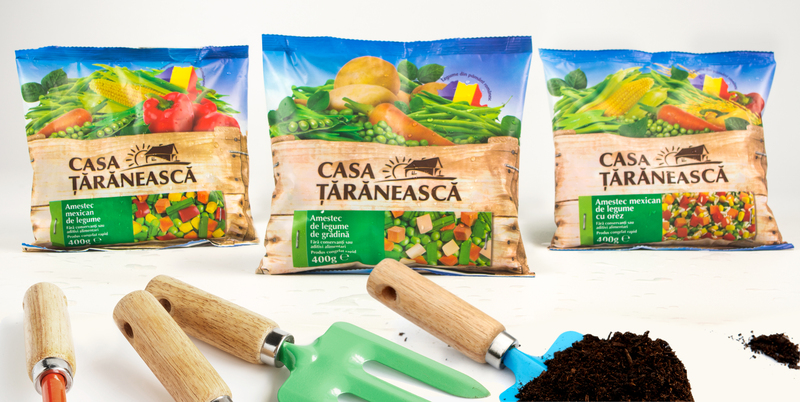 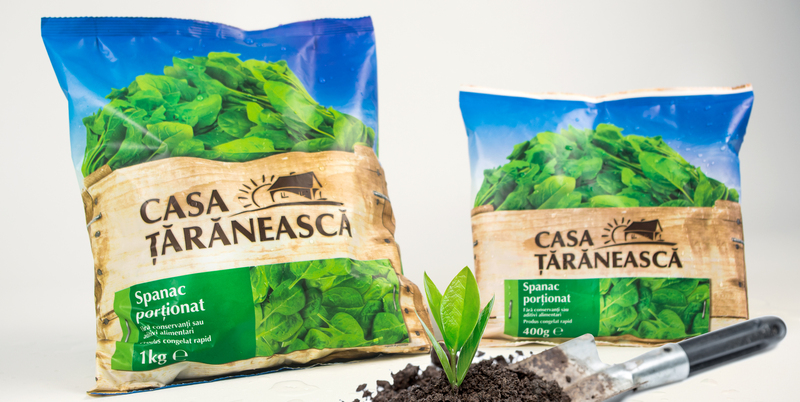 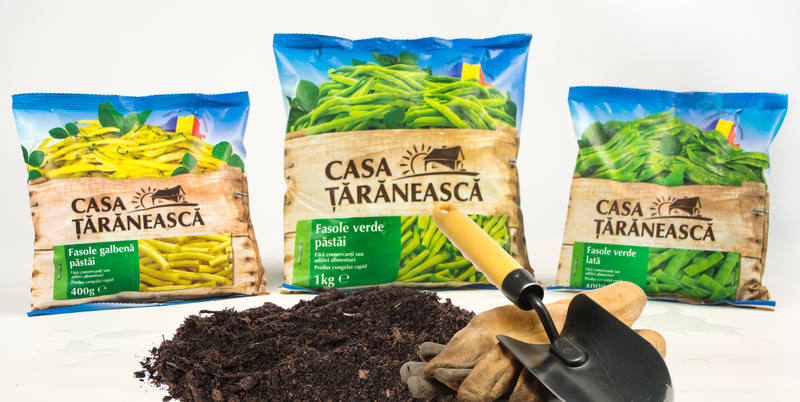 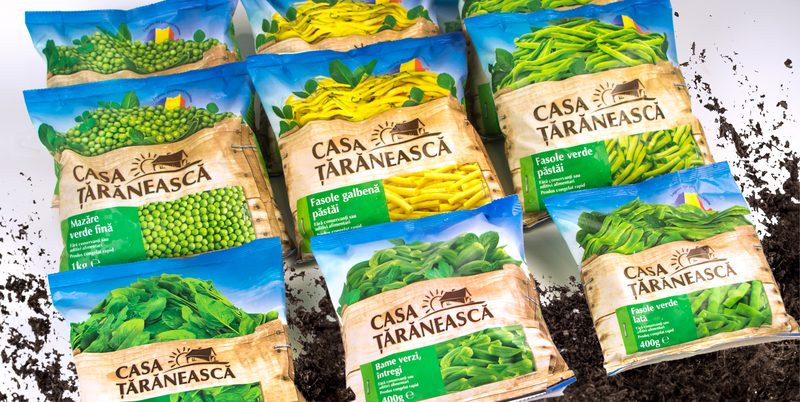 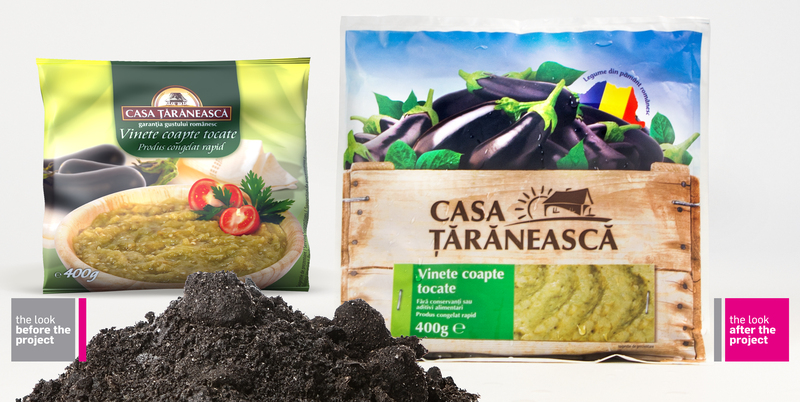 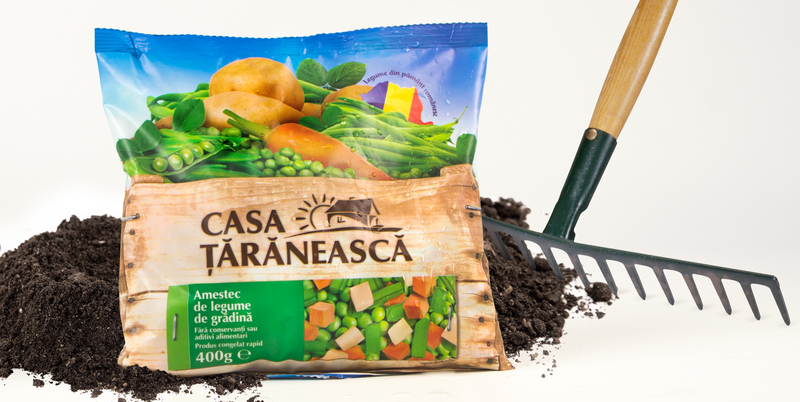 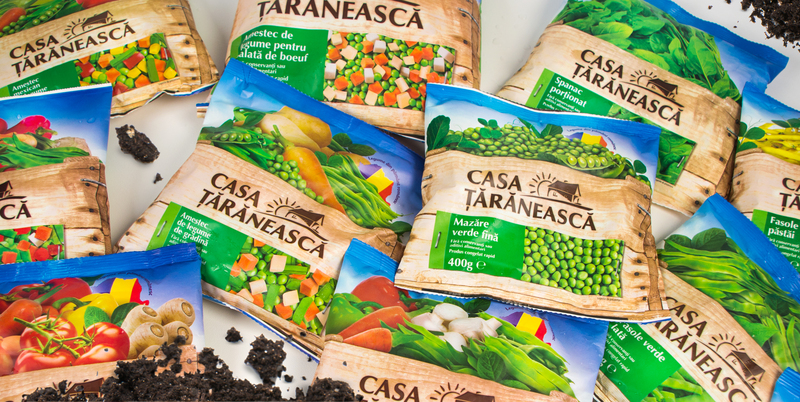 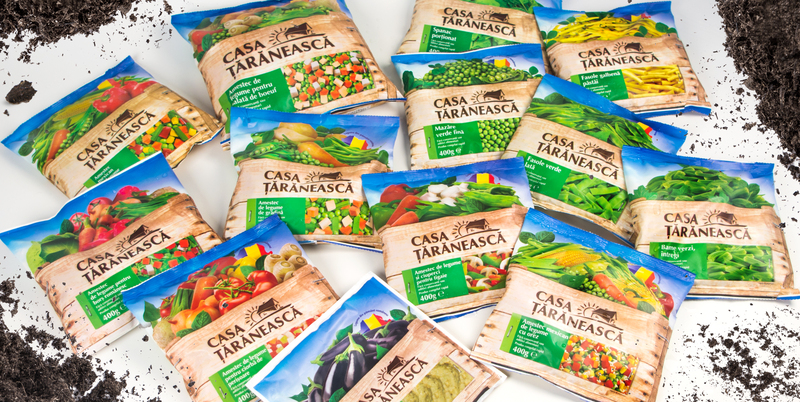 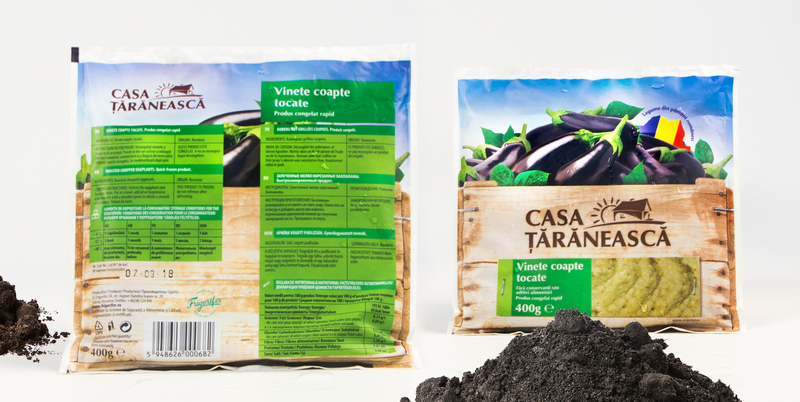 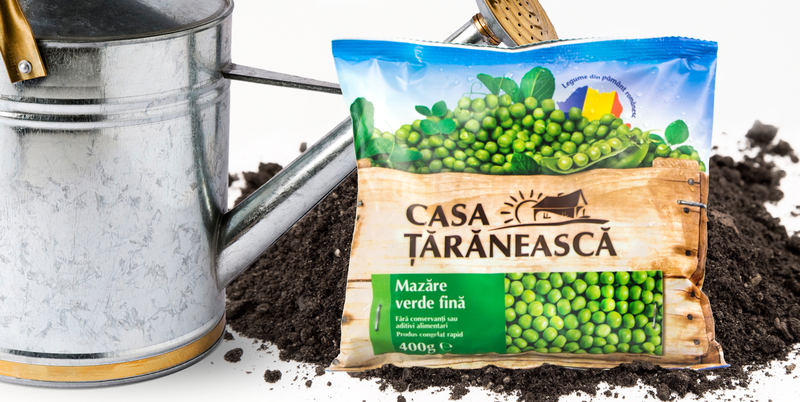 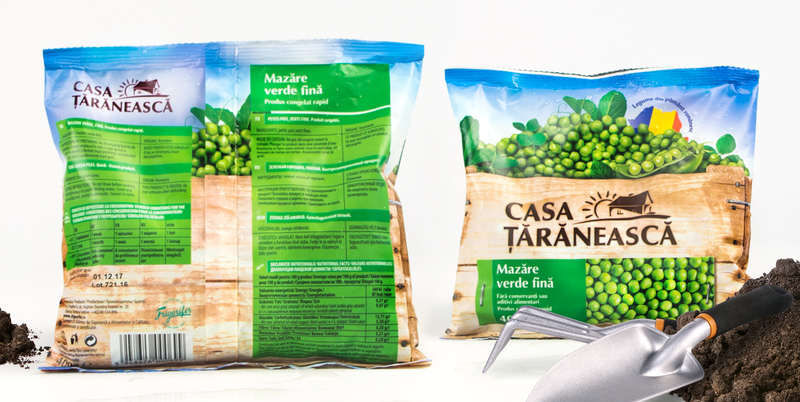 Casa Ţărănească, a reputable player in the frozen vegetable industry, is known for being the first Romanian producer in this market. 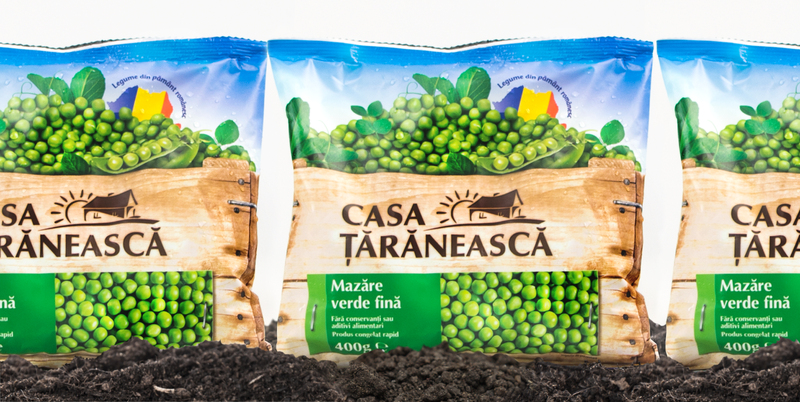 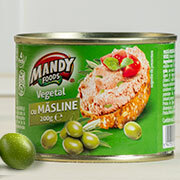 The brand prides itself on offering products specifically addressed to Romanian consumers, as well as locally grown products. 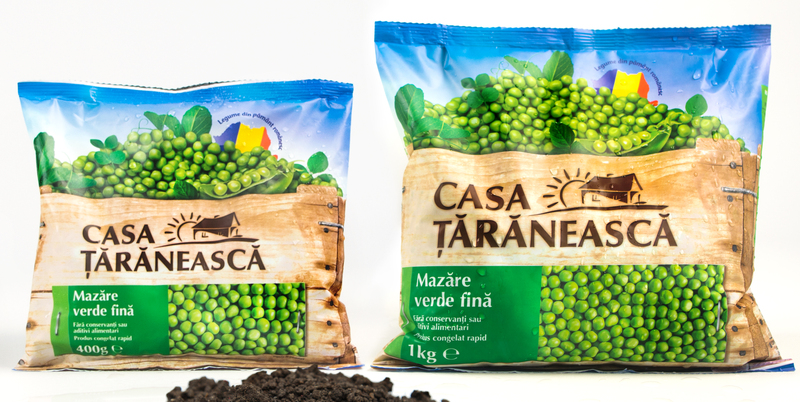 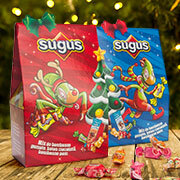 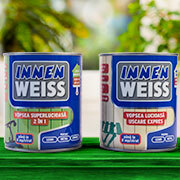 The package design was lacking in overall appeal, stand out and shelf visibility compared to the main players in the market. 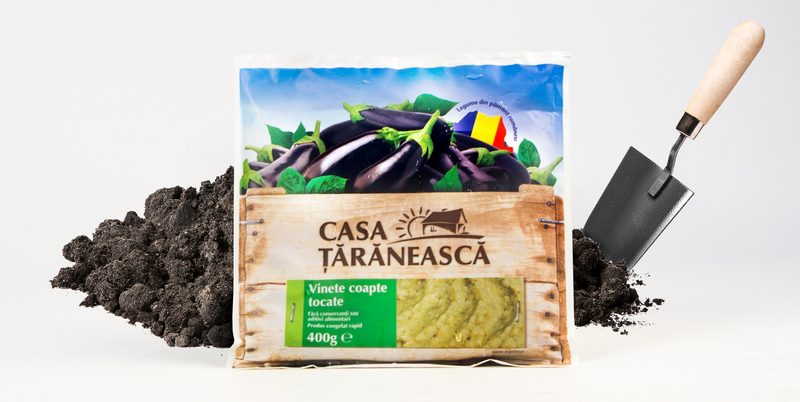 This is why we developed a design that would convey genuineness by portraying freshly picked vegetables carefully placed in a wooden crate. 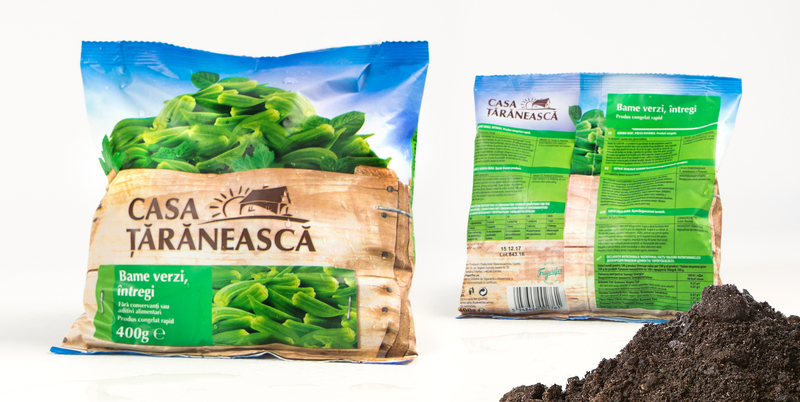 We enhanced the visibility of the product denominator by placing it on the label of the crate along side the final product presentation. 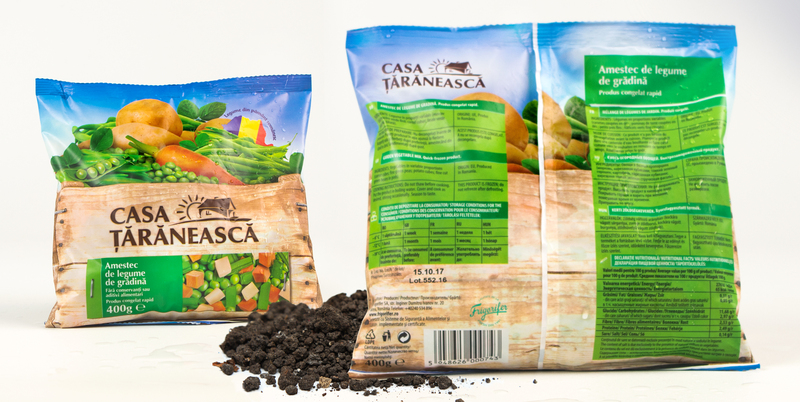 Moreover, we updated all of the package designs chromatics in order to give it a more contemporary look & feel and increase quality perception.